Presenting Our New Mid-South SSP T-Shirt! 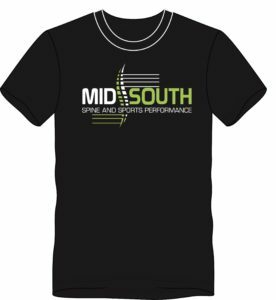 Just in time for the Christmas and holidays, Mid-South Spine and Sports Performance is proud to announce our new T-Shirt line! We have kept the first run of apparel simple and will be offering a limited supply of this black version featuring the clinic logo on the front as well as our alternative logo and motto on the back. This is a very soft and light weight T-shirt made of 100% cotton. We have sizes S-XXL. 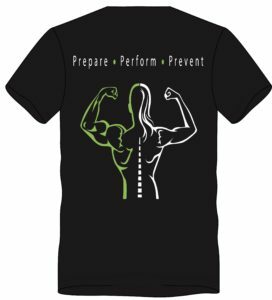 T-Shirts can be purchased during office hours, by emailing drdetweiler@midsouthssp.net, or by filling out a form at the front desk at NBS Fitness. Supplies are limited, so get your Mid-South SSP T-Shirt while they are still available!